An MBTA Green Line train pulls into Lechmere Station in Cambridge. For the Massachusetts Bay Transportation Authority to keep its trains, buses, tracks, and other infrastructure in good working order, it likely needs to spend even more than the hundreds of millions of dollars per year it has estimated — largely because the T’s method of estimating that figure is inadequate, according to a report from the nonpartisan Massachusetts Taxpayers Foundation. The report released Thursday also found that the T needs to increase salaries for top executives to retain talent to turn the agency around. Eileen McAnneny, president of the foundation, said the research shows that there are many impediments preventing the T from upgrading its equipment, including not having enough capable staff or an accurate estimate of how much it needs to spend. “Even if we had more money today, we wouldn’t be able to spend it all because they don’t have the processes in place or the human capital to make sure we can deliver the projects on budget and on time,” she said. 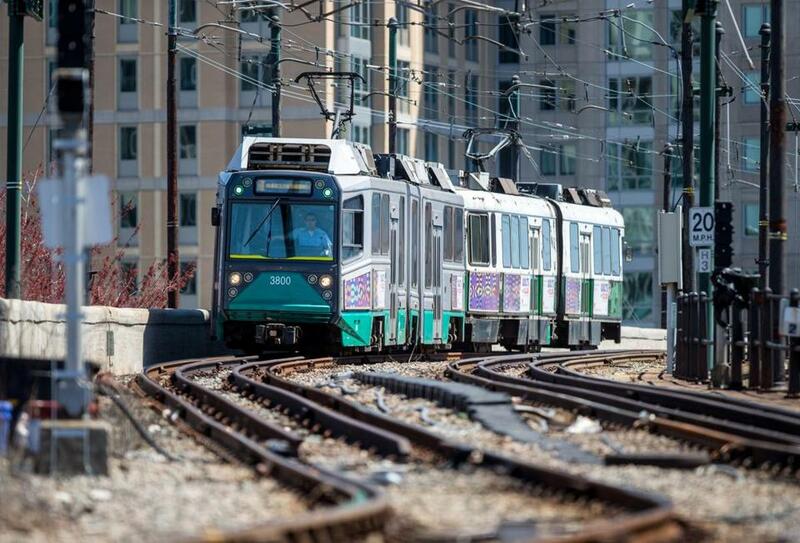 The report comes as the boards overseeing the T and the state transportation department are set to vote on a plan that outlines the major construction and repair projects the agencies will work on for the next five years. The T said that’s thanks to increased revenue, including from fare hikes, advertising, and cost-cutting. The MBTA estimated last summer that it would take about $7.3 billion to get all its assets into good working order, and that it needs to spend about $765 million each year to eliminate the backlog of repairs in 25 years. The report notes that the T has already acknowledged there could be “major gaps” in its data regarding commuter rail tracks, power, and signals. The T fails to account for inflation in those numbers, which would drive up the costs, according to the report. The spending estimates “appear unrealistic and understate what will be needed to fix the T because the data on which it is based is incomplete and inaccurate,” the report said. Governor Charlie Baker has made clear that he values investing in the “core system” before expanding the system. The report is the latest in a string of assessments of the MBTA that have painted the system as weakly managed and starved of talent. The researchers say the MBTA isn’t able to spend as much on repair and expansion projects because of inadequate staff capability, inefficient processes, and changing funding priorities. The need to attract new employees prompted researchers to suggest increasing pay levels after reviewing the pay at other major transit agencies, reporting how much it would cost the T, and submitting a report with recommendations for the Legislature. Transportation Secretary Stephanie Pollack said the MBTA’s fiscal control board could be receptive to such a move. “I think the control board has been willing to make the hard decisions when they’re the right decisions, and if the right decision is that we need to change the compensation scale in order to attract the talent we need . . . I think they’ll be willing to make that decision,” she said. Thursday’s report also made clear that the MBTA must update the system that estimates how much it needs to spend to get its assets in good working order. Pollack said the system that takes stock of what the MBTA owns isn’t well aligned with the systems tracking the agency’s spending or repair work. For example, if a train is refurbished or repaired, its status is not updated in the system that tracks the assets. “It’s very hard to say that you are serious about taking care of the assets you own, if you don’t know what assets you own or what condition they’re in,” she said. Amid the criticisms within the report, McAnneny also acknowledged that the T has made some strong hires — such as a new chief administrator, chief financial officer, chief procurement officer, and director of capital programs — that could lead to more progress in the long run.